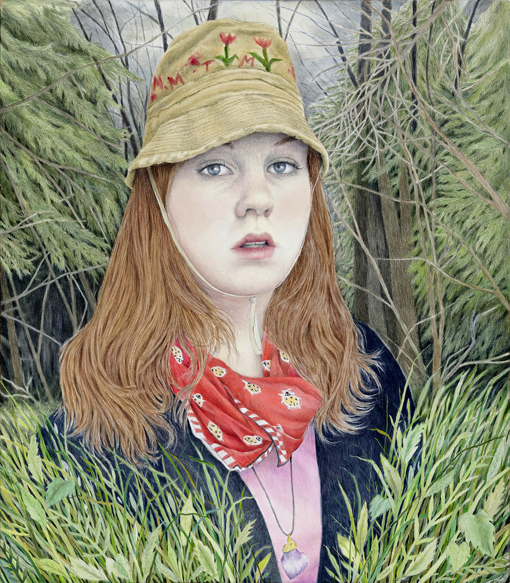 Rebecca Morgan’s paintings, drawings and ceramics depict stereotypes of uncouth rural Appalachia and reflect both a critique and defense of rural living. Humorous, menacing, grotesque, wild and free by turns, her characters embody our fantastical vision of how rural people live, but also touch on truths about poverty, addiction and off the grid independence. Morgan's style fluctuates between hyper-detailed naturalism, influenced by Dutch painters such as Memling, Brueghel and Van Eyck as well as ridiculous, repulsive - even absurd - caricature. The artist earned her BA from Bloomsburg University of Pennsylvania and her MFA from the Pratt Institute. She has shown her work widely at venues such as the Asya Geisberg Gallery (NY, NY), Richard Heller Gallery (Santa Monica, CA), Gasser Grunert Gallery (NY, NY), Flanders Gallery (Raleigh, NC.) Morgan’s work has been covered in Lodown Magazine, Juxtapoz Magazine, Beautiful Decay and New York Arts Magazine, among other publications.